A FORMER parish priest will be sentenced next month after pleading guilty to charges of indecent assault. Peter Cribben faced Judge Michael O'Shea in Naas Circuit Court yesterday charged with indecently assaulting a male in the 1980s. The 68-year-old served as parish priest of Rhode, Co Offaly from 1994 until he took administrative leave in October 2006. 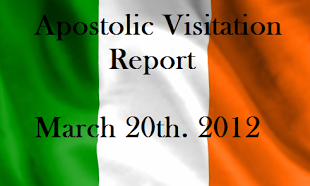 Mr Cribben has addresses at Bishop's House, Carlow, Co Carlow, and the Parochial House, Rhode, Co Offaly. At an earlier sitting in November, he pleaded guilty to one charge of indecent assault of a male at the Curragh, Newbridge, Co Kildare in 1988. Judge O'Shea adjourned the case until March 6.